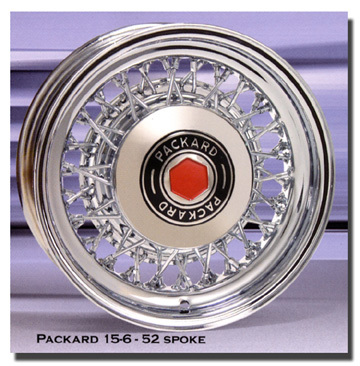 Packard Kelsey Hayes Wire Wheels!!! QUALITY AMERICAN MADE REPRODUCTIONS!!! Not the cheap Chinese/Taiwan/Japanese versions that are typically on back order for 3 months. 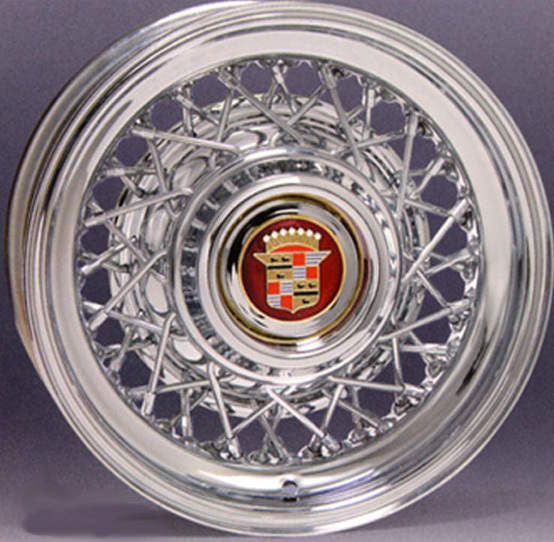 These are solid steel...heavy gauge..quadruple plated beautiful works of art...they are GEMS!!! No disappointments here. You will love the difference they make in your 50's Packard. Please click to check my references. 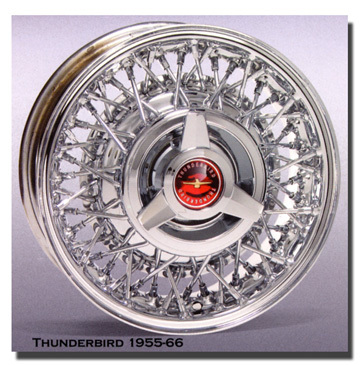 These wheels are a bargain at $2,750 SHIPPING included, anywhere in the Continental USA! 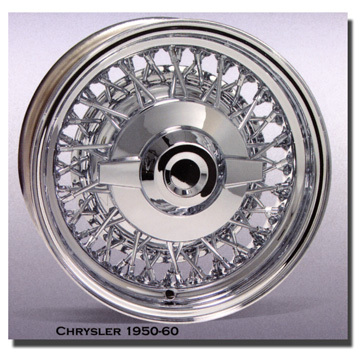 CA RESIDENTS ADD 8.25% A 5th wheel may be purchased for $700 per wheel in chrome. REMEMBER.. others sell the caps separately.... ours come complete.Turn around is about 14 Business days build time and about 7 working days for shipping. Payment done through Credit Card... or PayPal Thanks! When you order please specify make ..model.. and year. STAINLESS STEEL SPOKES ADD 1,000. Remember... if a company sells tires and wires... they make NEITHER! !